Christ Lutheran Vail Church: Lifetree Cafe - 10 July - Who Can You Trust? 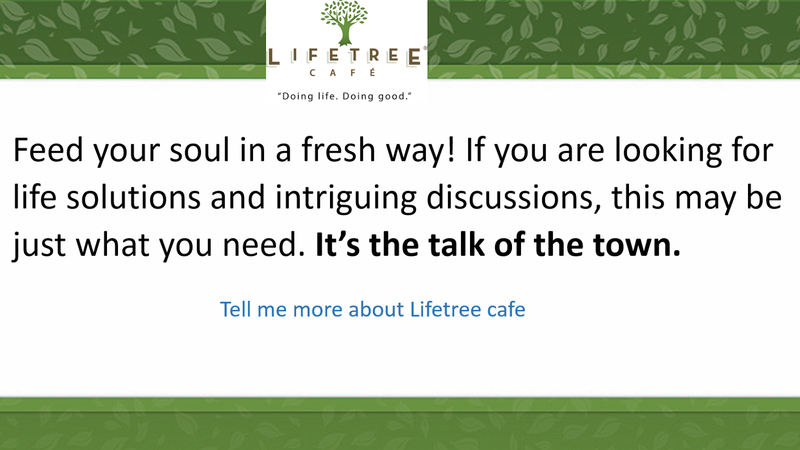 Lifetree Cafe - 10 July - Who Can You Trust? Recent statistics show trust levels in institutions are dropping dramatically. Why? Share your opinion this Tuesday at Lifetree Cafe at 630 PM. We meet at the Hacienda Restaurant at del Lago Golf Course. Look for the "Lifetree" signs.